Do you want to sell dental gold? Then sell your gold to Midwest Coin, Saint Paul and Minneapolis, Minnesota’s top rated precious metals buyer. Furthermore, we are fully licensed, bonded and insured coin and gold dealer. In addition, we make the process easy, straightforward, and relaxed. As a result, Midwest Coin is the best place to sell scrap gold to. 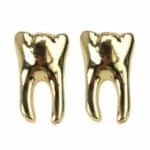 What Is My Dental Gold Worth? Do you want to know what your dental gold is worth? Then know the value is based on the current spot price, the purity of your dental gold, and the amount of gold you have. Furthermore, to determine the purity divided by the karat by 24. 10k / 24k = 41, so 14k is 41% gold. Therefore, higher karat means higher gold content. 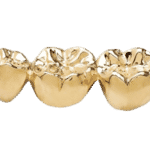 In summary, the weight and karat of your dental gold determines the value.